Every year the Texas Legends, the D-League affiliate of the Dallas Mavericks, do something truly special: Local Tryouts. Highly uncommon in the world of sports, the Legends open the doors of Prestonwood Baptist Church to anybody with dreams of playing professional basketball. 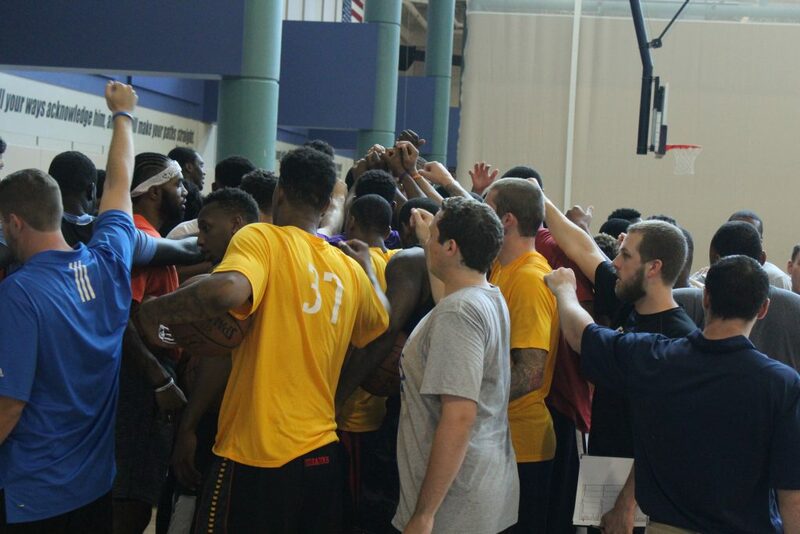 Almost 200 players packed the gym on Saturday for ten hours of basketball. 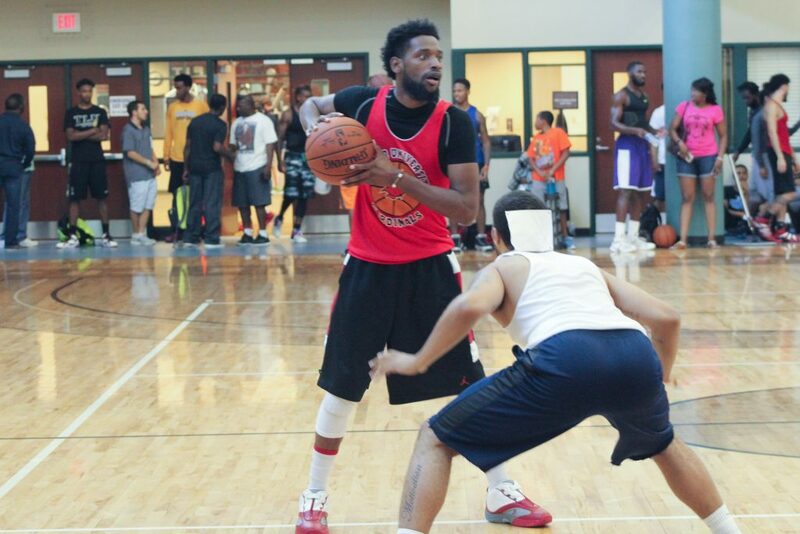 On the line: a chance to play with the Texas Legends and be on the doorstep of the NBA. MacKinnon says talent is the driving factor, and then the rest is up to them. 1995 NBA Coach of the Year and current Legends Vice President Del Harris agrees. Things kicked off at 8 A.M., which was a quick turnaround for Denver native Krubiel Workie. Workie arrived the night before with only a night’s sleep separating him from the big day. Workie played at St. Joseph’s and graduated with a degree in broadcasting and communications. He works out with the Denver Nuggets during the summer and praised former players and current coaches Chauncey Billups and Anthony Carter as well as Nuggets trainer Steve Hess for helping him with his game. Of Ethiopian heritage, his father once walked on foot from Ethiopia to Sudan to escape War, navigating jungles and sweeping wilderness to find freedom. “My father would be face-to-face with wild animals,” the 25-year old said. “You can’t let them see fear in your eyes. You have to survive.” Something Workie takes with him every time he laces up his shoes and takes the court. With a hard story to top, meet Erik Allen. Excuse me, new father Erik Allen. Allen, 27, welcomed his third child into the world on September 14th. Yes, three days ago. The Ft. Worth resident took part in the tryout with his hospital band still bound to his wrist. As far as basketball goes, Allen said he heard about the tryouts from his brother who was sourcing the internet a few months back. Since then, Allen ramped up his workout to three miles of running per day, two ball handling sessions and shootaround. Even with a near 24/7 basketball schedule, he says he always made time for church. He wants you to want him to want you. It’s not rocket science. “Do not leave here with regret,” the Coach concluded before introducing the rest of the personnel and going over some final basic guidelines. Then it was time to ball. Two separate series of scrimmages followed, separated by another pep talk from the Head Coach. The idea was elementary but vital: Play, play again, play one more time, learn from your mistakes and allow yourself to be coached, then play three more times. Cory Cooperwood did exactly as instructed and shined. Hailing from Kennett, Missouri, Cooperwood is well traveled having spent four years playing in Australia and one in Germany. I asked the athletic, big man about his impactful showing and his answer fit to a T what MacKinnon, Harris and the organization wants from their aspiring players. The afternoon session consisted of a more focused group that followed the same schedule with the variation of shooting drills. The Legends assistants each worked with teams of about six players. Catching and shooting and shooting off the dribble from both mid-range and the three-point line were succeeded by working on plays and pick-and-roll offense/defense. An advanced X’s and O’s tutorial of sorts. After the scrimmages, I caught up with 24-year old Ryan Nitz. Nitz hails from Rancho Cucamonga, California and heard about the opportunity in Texas from his agent. He played ball at Cal State Monterey Bay and has aspirations to play international ball, noting a potential offer from a Canadian team, but his main goal is here and now with the Legends. “I thought I played alright,” Nitz said. “Just gotta hit more shots, always play Defense, rebound, play with control.” Like Workie, Allen and Cooperwood, Coach MacKinnon’s message has already taken effect in his mind. Returning player and former Baylor Bear Deng Deng is hard to miss. Sure he’s 6’8”, but his smile has a seven foot wingspan and follows him everywhere he sets down his giant footprint. Deng says it’s an honor to be here. Success happens on and off the court with the Legends. Dr Pepper Arena is always home to a fun, family-friendly, and exciting environment with games, food, entertainment, and of course basketball. 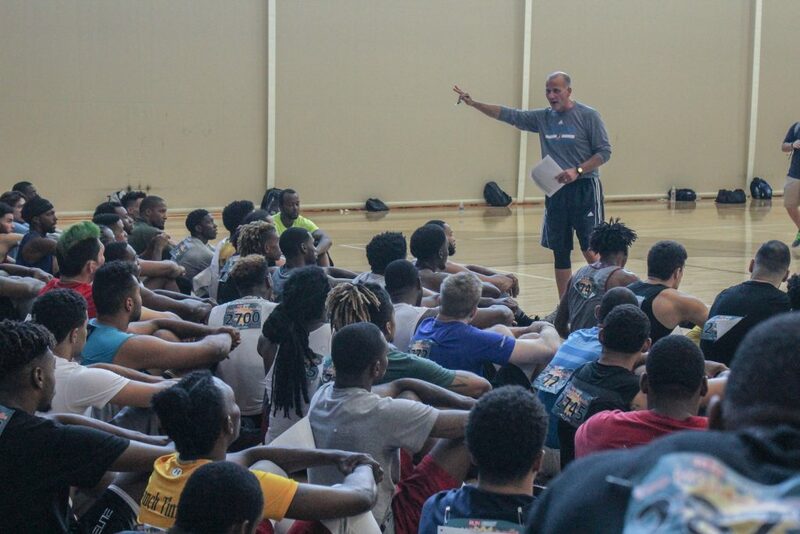 These open tryouts are just another example of a team and community working together to bring even more success to an already impressive program.